When extreme weather hits, it’s time to head inside. But not everyone has that luxury. In maritime or construction work environments, being outside is part of the job. While personal protective gear for laborers can help, there are more safety products available to battle the elements. From Sure-Foot’s tapes to fiberglass step covers to aluminum stair treads, our products protect against slick stairs and landings. Slips, trips and falls are one of the most prevalent ways workers hurt themselves on the job. Add snow and ice to the mix and slick conditions are amassed. A frequent complaint we hear is that it’s difficult to find safety flooring solutions for ramps in the loading dock area. Sure-Foot created a resolution: a fiberglass panel broken down into 4-foot sections. These divisions decrease the chance of surface tension, which has caused cracking in other applications. Another viable option for severe weather industries is our Master Stop™Extreme Tapes & Treads. The Master Stop line is 50% stronger than our standard anti-slip tape. Our extreme tape has a multi-layer grit that lengthens product life. When choosing Master Stop tape, plan ahead. Installation of the tape cannot occur effectively under 50 degrees. When installed properly and at the right temperature it will adhere securely even down to -40 degrees. All it takes is 5 minutes for the adhesive to cure and then it’s ready. Snow and ice are not the only weather conditions that can wreak havoc for outdoor work areas. Multiple industries face slick conditions from excessive rain and hurricanes. 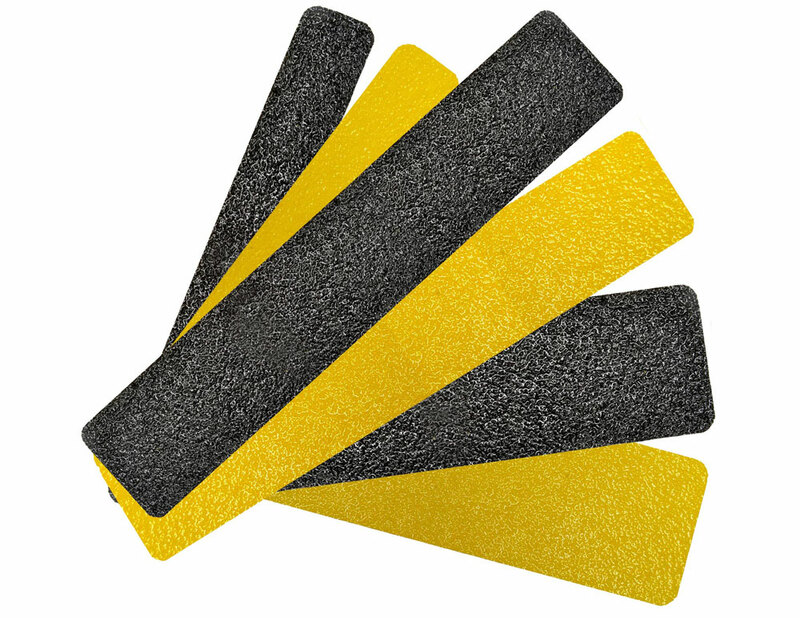 From offshore marine applications to the transportation industry, our fiberglass product and Master Stop tape is suitable to protect against slips, trips and falls in wet environments. Sure-Foot has offered successful solutions to many companies along the Gulf Coast, from gas and oil rigs to transport boats. Fiberglass and Master Stop work well to prevent accidental injury. Not only are our products easy-to-install, but they can be scrubbed and cleaned without difficulty. Fiberglass works best because neither chemicals nor sea water affect it. 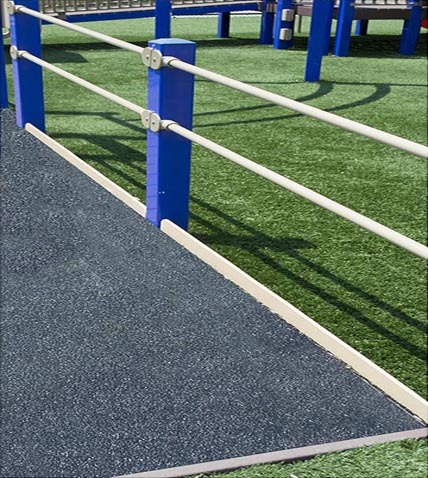 When certain applications need an aesthetic look, Sure-Foot’s BOLD STEP® aluminum extrusions are recommended. Our aluminum stair treads have a wider color selection that allow your flooring solutions to match a specific color scheme. Colors include gray, red, brown, yellow, glow, black, blue and dark green. Custom colors are available upon request. BOLD STEP products resist chips, dirt, scratches, stains and oil. Additionally, they are easy to install and clean, which is beneficial for high-traffic areas in busy work environments. When looking to fix unsafe flooring, Sure-Foot has a solution. Request a sample today!